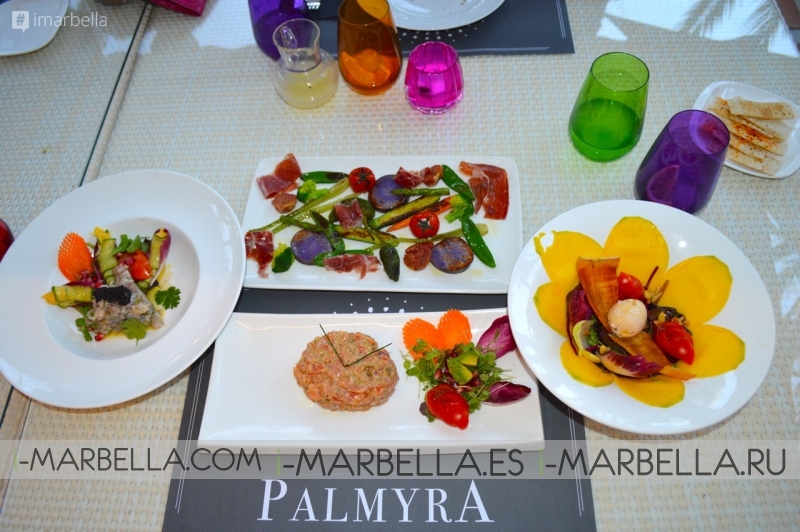 The team of i-Marbella.com had the pleasure of trying Palmyra's dishes and reviewing the service. Palmyra is a new restaurant that opened its doors in 2015. 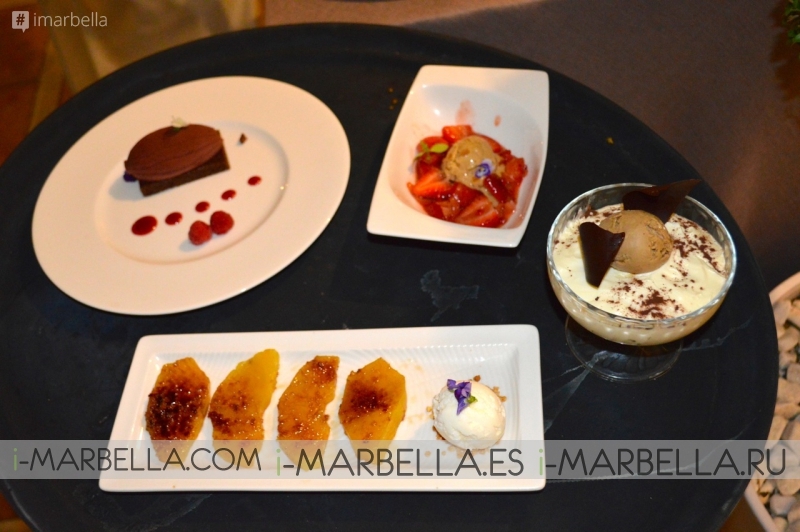 The restaurant is located in the Sultan Hotel, only one block away from the Meria Don Pepe Hotel and El Palacio de Congresos Marbella. Open from breakfast time to dinner time. Palmyra is a multifunctional restaurant that offers a variety of different rooms with unique design, satisfying the tastes of every customer. The restaurant has a big open terrace and vallet parking. Palmyra offers international cuisine including organic breakfast menu and healthy smoothies. The restaurant also boasts an excellent selection of wines and coctails. Palmyra is also a great location for wedding buffets and parties. The first starter was tapas, Caramelised Pineapple Ravioli Filled With Goat's Cheese, that was juicy, a little bit sweet, but overall a pleasant mouthful, also served in a lovely manner. The other delicious starters included Ceviche of King Prawns with Sweetcorn Canneloni and Herring Roe; Mango Salad with Foie Ice-Cream and Yucca Crips; Grilled Baby Vegetables with Iberian Ham, SScented with Basil; and Salmon Tartare with Truffel and Yoghurt. The main dishes were Roast N. Zealand Lamb Chops Flavoured with Ras al Hanut; Cous-Cous with Seasonal Vegetables; Fillet Steak Medallion Rossini; Seared King Scallop with Green Aspargus Tips and Cream of Truffle; and Cod Fillet with Caramelised Garlic. The servings were of considerable size. 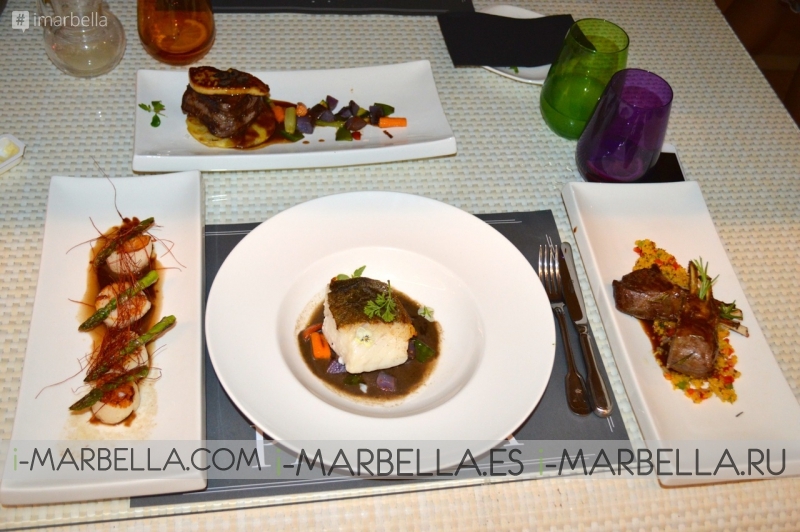 Meat and fish were perfectly well-cooked, ideally complimented by side dishes. The desserts included Tiramisu; Strawberries Sauteed in Ginger; Pink Peppercorns and Nougat Ice-Cream; Fresh Pineapple Marinated in Spices and Mascarpone Ice-Cream; as well as Palmyra Chocolate Delight. All the desserts surprised us with their spicy and truly unqie taste. Last but not least, the service was very good, in which we didn't have to wait long, and the dinner went in a smooth manner. The owner of Palmyra is not Jose Maria Sanz. Palmyra belong to Hotel Sultan. The rest is true. Good food and marvelous place. 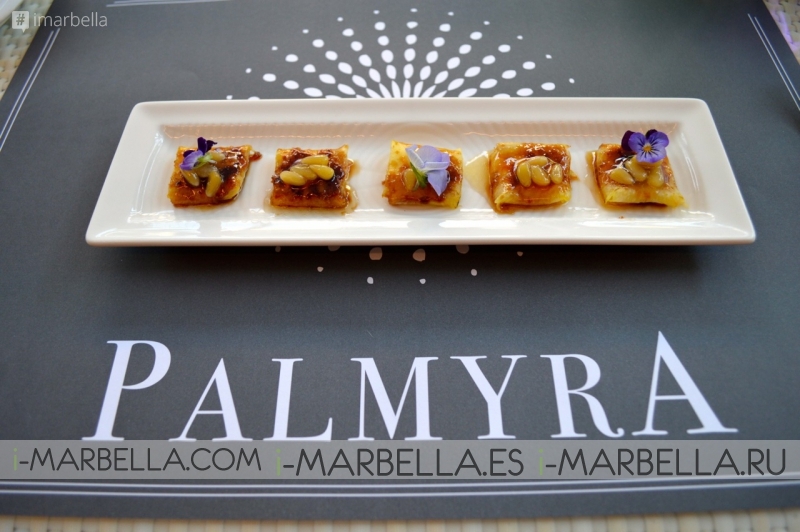 PALMYRA is in Hotel Sultan only one block away from Hotel Meria Don Pepe and El Palacio de Congresos Marbella. Open from Breakfast to Dinner. I hope you Try one day !